Though we had a green Christmas, the snow seems to have finally arrived here in late January and it doesn’t look like we’re quite finished. 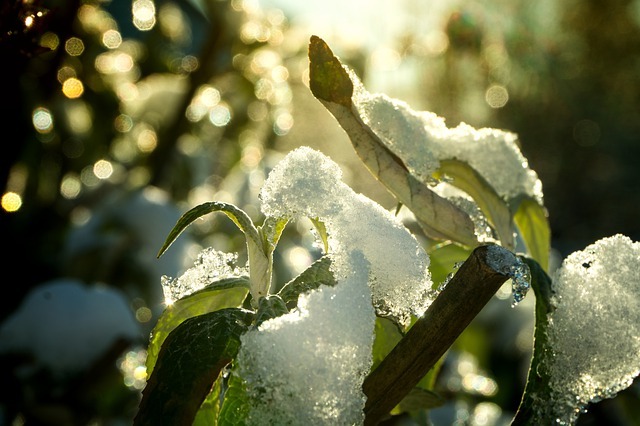 Cold snaps and sub-zero temperatures can be tough on your trees, but to what extent? How much will your trees suffer as we continue to endure these record lows? Let’s take a look at how much damage your trees might experience as the snow continues to pile up. What Does Frost Do to Your Trees? Frost can harm trees of every kind. For healthy trees, this will only cause them minor issues that they will then recover from once the weather gets better. However, for more vulnerable trees, the frost can harm them and even kill them. Understanding the damage done by frost is essential because it sets the stage for the further damage done by snow. What Does Snow Do to Your Trees? Beyond the danger of being cold, snow has weight. Snow, in fact, can be quite heavy and as it accumulates, it creates a larger and larger load. This load is the real danger that snow poses to your trees. As it accumulates on their branches, it weighs them down, and can lead to breakage and splitting. During the winter, most trees don’t have leaves to collect additional snow and thus, may face less strain than trees that get snowed on in early Spring. What Can You Do to Help Your Trees? If you see something that looks suspicious with one of your trees, take action. It’s far better to get the tree inspected than to face it falling and damaging something down the line. A new roof is going to be a much bigger financial investment than having your trees addressed by an arborist. Not to mention the fact that a falling tree can seriously injure people and other property. To give your trees the best chance of success, hiring a professional to ensure their health is going to be your best bet. We can take a look at them and assess their health before disaster strikes. Need an Arborist? We’ve Got You Covered. The experts at Nelson Tree Specialist can help you in all things related to your trees. From pruning to stump removal, and everything in between, we’re your resource. To learn more about our services and how we can help you, contact us today. This entry was posted on Tuesday, January 22nd, 2019 at 5:30 pm. Both comments and pings are currently closed.